In motor racing, you usually have a set of - unanimously considered - pinnacle series all drivers yearn to compete in. On the top of four-wheel racing, you have all the world championships, most notably Formula 1. Then you have a bunch of feeder series as talent pools, where future stars are born. On the other end of the scale, you have competitions where the old gunslingers move to once they are past their competitive edge at the highest level. And then you had Grand Prix Masters coming up ten years ago, in 2005. 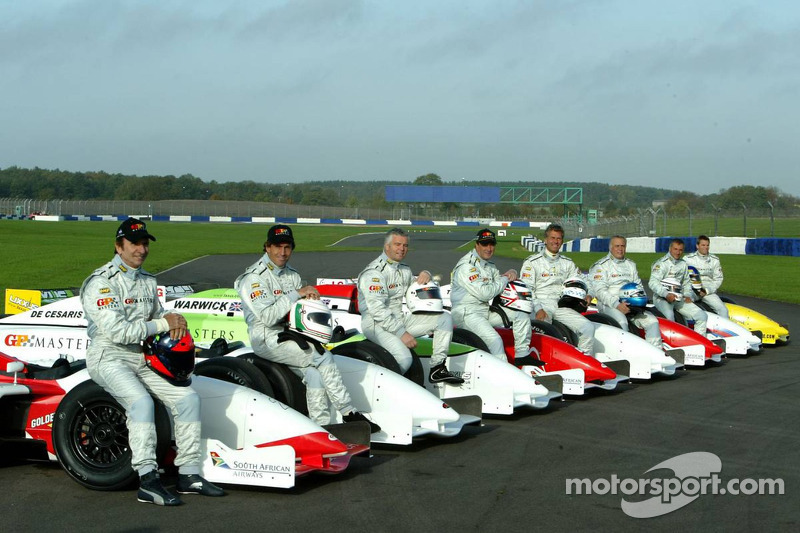 Grand Prix Masters was designed to feature retired Formula One racing drivers over a certain age to create a band of brothers to tour around the world, reminding people what the ultimate pinnacle of motorsports was like ‘back in the day’ (as we all know, it was always better ‘back in the day’). As opposed to historic racing - where you have drivers of varying demography racing old cars - GP Masters was made to run brand new, very much competitive, equal racing cars, driven by - with all due respect - a collective of old guys with highly credible racing backgrounds. The intercontinental circus of GP Masters thus featured world champion drivers, such as Nigel Mansell and Emerson Fittipaldi, Indianapolis 500 winner Eddie Cheever, Jr., Le Mans 24 hours winner Stefan Johansson and other, multiple race-winners and near champions, such as René Arnoux, Patrick Tambay, Riccardo Patrese, Jacques Lafitte and the list could be extended to all the drivers involved. The three races GP Masters managed to survive - South Africa in 2005, Qatar and the UK in 2006 - were not without ups and downs, and there were lessons to be learned from the outcome. As the short-lived series ‘celebrates’ its 10th anniversary of its introduction, I contacted Delta Motorsport Operations Director Simon Dowson - who was responsible for designing the cars and followed the series around the three continents on the technical side of it - and one of the drivers who raced in the series, Stefan Johansson. As a matter of fact, it was just that for a shedload of drivers, just the same way - some being still very much active, others not so much. But to go racing, they needed a car. Delta Motorsport was up for the challenge. The GP Masters car they came up with was not some gentle, old people’s Sunday ride to the lake side. The V8 Cosworth XB-based Nicholson McLaren engine in the back churned out a reported 650bhp at barely over 10k revs, and 320 lb ft of torque in the mid-7000s. It was equipped with steel brakes, a paddle-shift gearbox - to much of the positive surprise of some drivers - and a chassis that was not completely unlike a late model CART/Champ Car shell. A live test of the cars followed suit by some of the future drivers and the results were something that could be described as an act of over-achievement for some. 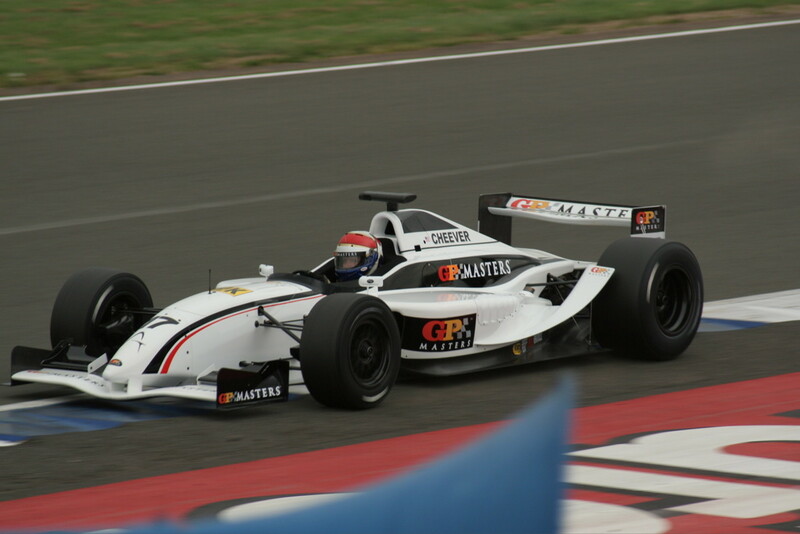 Following some open tests in Wales and at Silverstone, GP Masters geared up and headed for their first race at the Kyalami circuit in South Africa in mid-November, 2005. 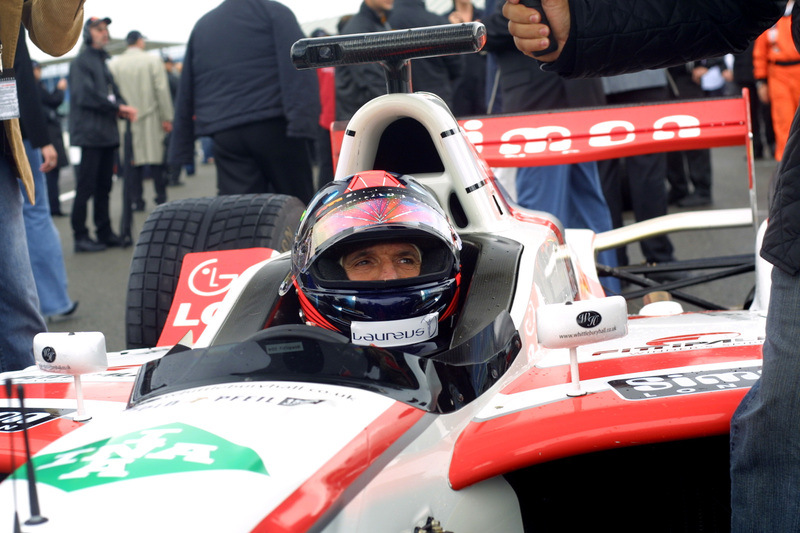 The event saw a straight-out battle between Emerson Fittipaldi and Nigel Mansell in the race on Sunday, and on the Saturday as well with the two chasing each other to see the lines they took around the corners for better qualifying times, deliberately screwing up their laps from the eyes of the other one. “It was great to hear Emerson on the radio who just dropped straight back to racer mode.” says Simon “Also, how he approached the whole race weekend, strategizing about when he was to go out on the track, who’s doing what.” Still, before the lights were off for the start of the first race, there were still plenty of doubts flying around concerning the age and fitness of the drivers. The race in the middle of the desert of Qatar - apart from the heat - suffered from long laps of yellow-flag sessions, and the greatest spectacle of the weekend was probably provided by René Arnoux during qualifying with a masterclass of drifting around the astroturf on the outer side of a corner. The race was won by Nigel Mansell again, but despite the initial success, problems for the series started to show. The race in Monza - scheduled a week after the Qatar race - was cancelled and the event in Silverstone suffered from problems, too, well before it started. It wasn’t just the rain, though. The series had much bigger problems than that as not just the literal, but the the proverbial clouds, too, started to gather over the track, as the August weekend in Silverstone kicked off with a bang - several of them as a matter of fact - with a lot of engines going up in smoke, resulting in a series of engine swaps. “With all these things it’s difficult to see [what the problem was].” continues Simon “You get both sides of it. You get the engine guys who updated the crankshaft in the engine, because we had one failure in Qatar. They decided to beef it up. Suddenly, in free practice one, we started having engine failures. They weren’t small failures, they were punching-a-hole-on-the-side-of-the-block failures, and they happened quite quickly. There was a lot of “Whose fault is it?” “Oh, it’s the drivers’ riding the clutch, it’s the yadda-yadda”. But at the end of the day we managed to handle to situation and there was a huge amount of effort from Nicholson McLaren to get engines back, deal with them, trying to make sure we didn’t have the problems again. It was a very challenging weekend, but even now, nobody’s ever able to put their finger on why the engine guys were defending their side and the chassis guys theirs. A bit like Red Bull and Renault now [in F1].” he laughs. The wet race saw several drivers going off the track, bouncing off from each other in corners and one Nigel Mansell scoring an early DNF with the team failing to work out a driveable setup for the car. By the end of the race, there was a sour taste in most people’s mouth, but probably only a few of them expected that the taste would be permanent as the series just ran out of money completely, being unable the recover the finances spent on the races from the sponsors. “The issue again was financial stability - because of the self-promotion and the amount of money the series spent on the events. It wasn’t recoverable from the ticket sales. It left what was already a very fragile situation into a bleak one. Although there was some further investment found, it wasn’t enough to stabilize things. You needed the circuits basically covering the full race costs to go racing, and most of them weren’t going to do that. But then there was no money in the bank to support that - to get the schedule, to get the sponsors to recover the costs. If you start with a deposit, you don’t really have anywhere to go.” puts Simon an end to what the series had to face for its ultimate demise. 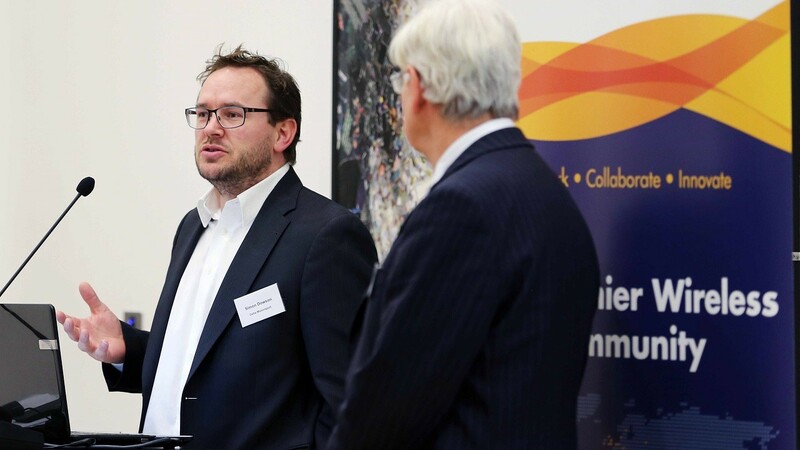 “Had they had the funding required and the ability to sustain, I think it would have been huge, no question about it. We would have been able to do something that was quite entertaining and most importantly highly competitive.” concludes Stefan Johansson. 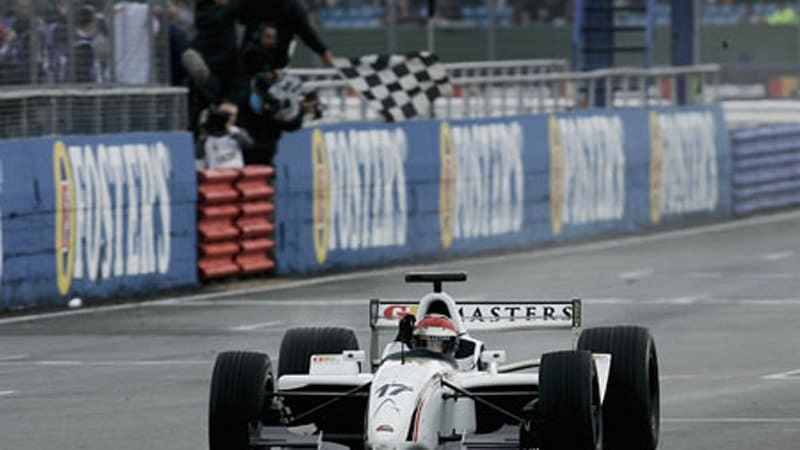 With only three races completed, the Grand Prix Masters folded in late 2006. The drivers went on with their lives, while Delta Motorsport is still very much active in a number of racing series - including LMP2 -, and with their increasing know-how on developing electric and hybrid solutions for road cars, they have an edge to step up to LMP1 or over to Formula E.
The reintroduction of a similar concept as a support series to Formula 1 has been widely disputed with the recent talks of revamping the race weekends. It yet has to be seen whether it comes to fruition.